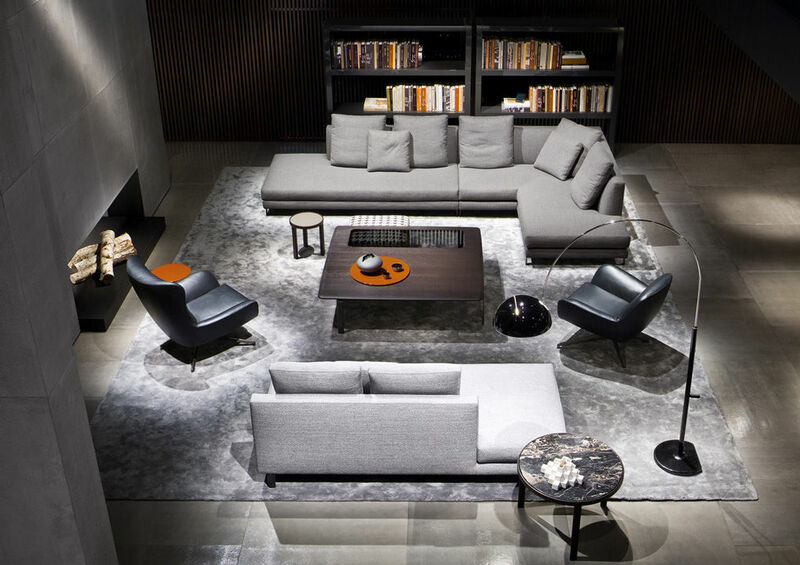 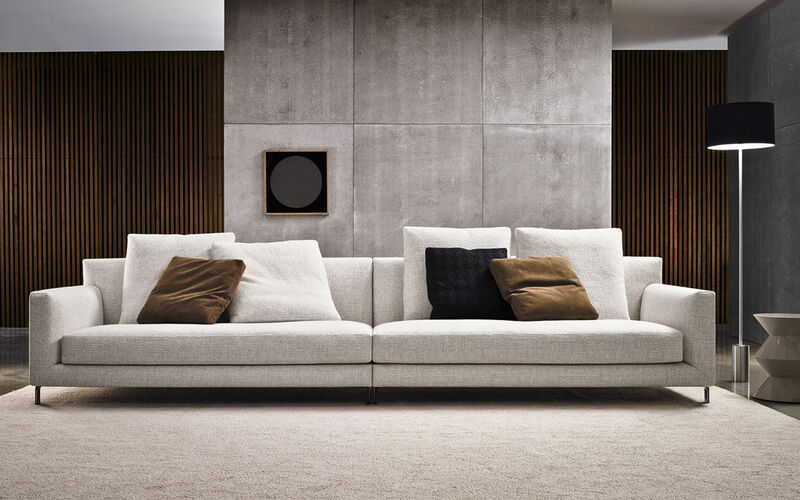 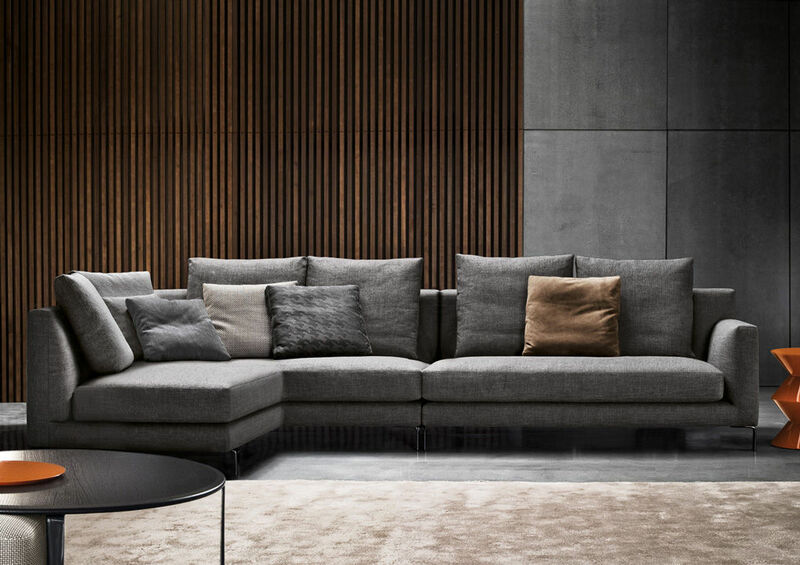 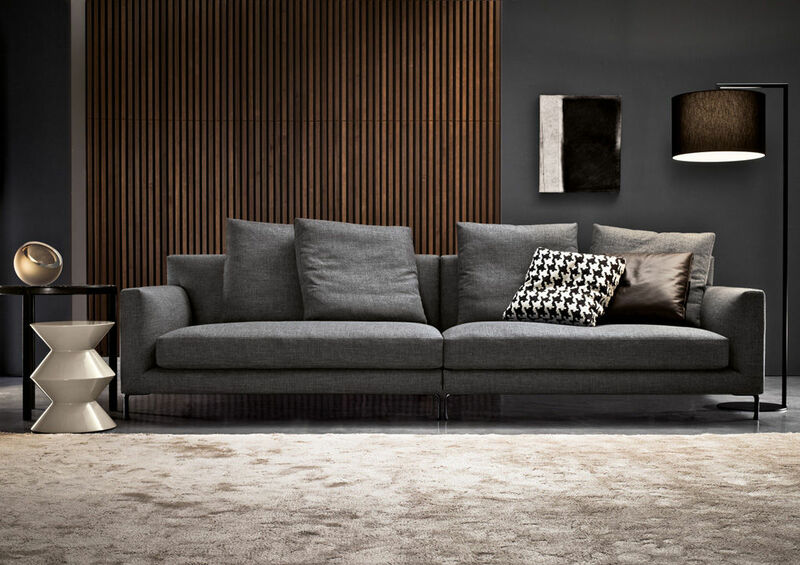 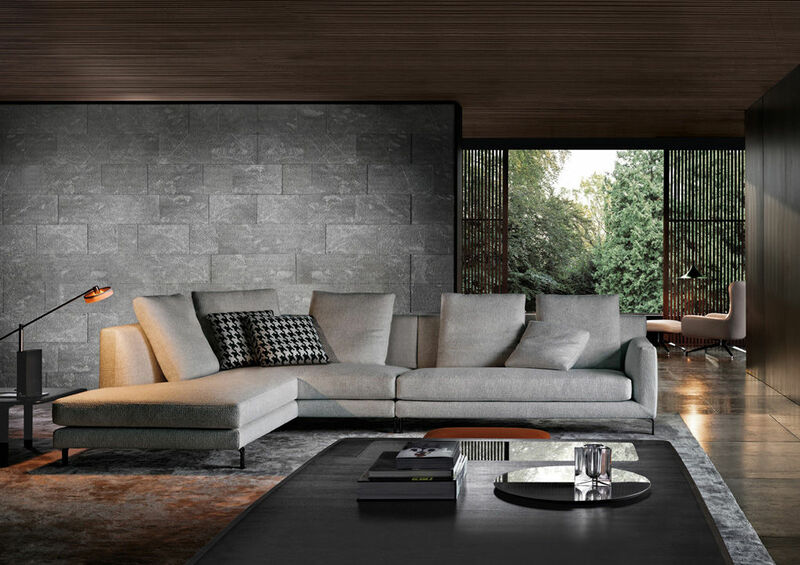 The Allen sofa is a perfect example of what Minotti means by “sofa”: an object defined by its smooth lines and proportions, its added height from the floor, and the functionality of its dimensions, without sacrificing soft lines and rounded shapes, especially where the arms are concerned. 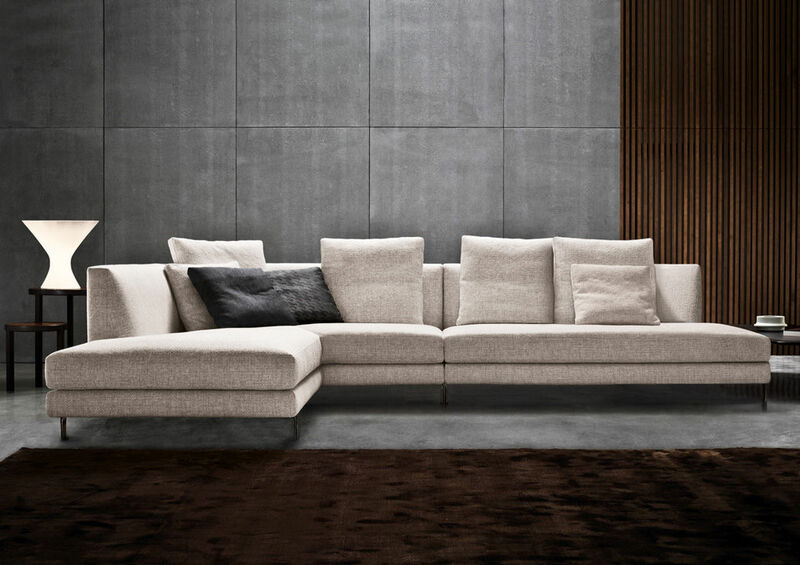 Even though it’s a product of design, Allen is certainly not lacking in comfort, thanks to the high back that offers total support for the back and the head. 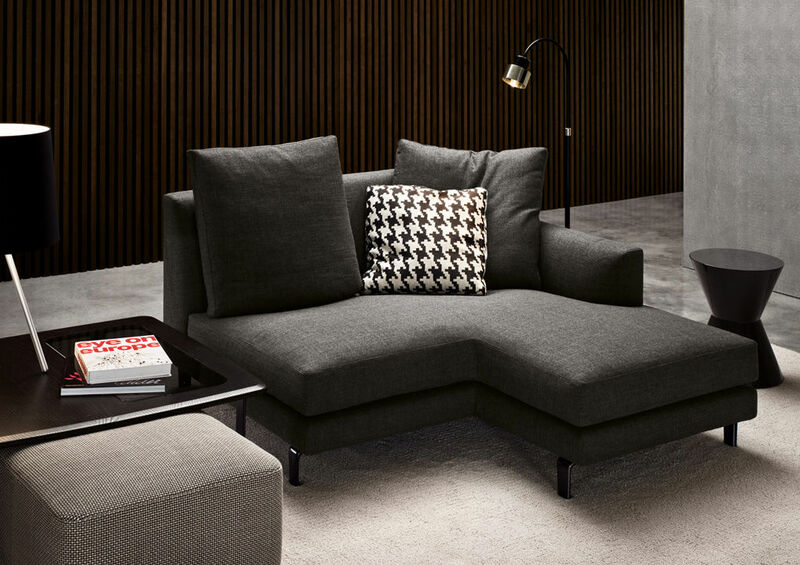 Internal padding of the arms and back is molded, while the reversible seat cushion is covered in goose down. 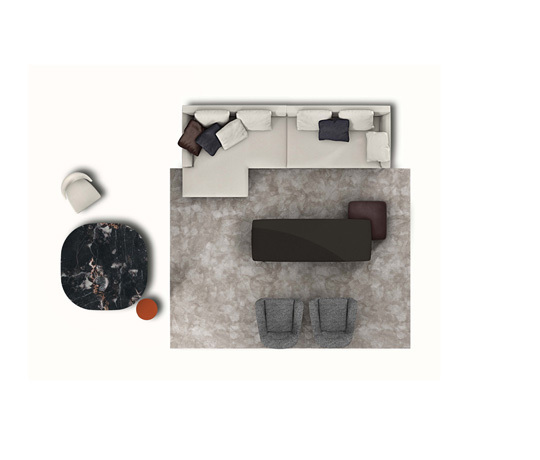 The feet, made of molded, die cast aluminium, describe a sinuous line, proof that the classical concept is inherent to Minotti’s DNA. 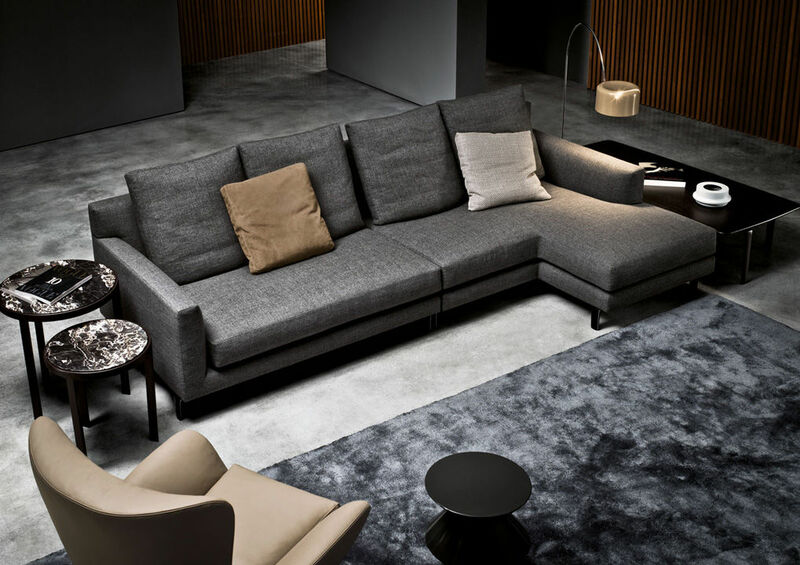 Spotlight on feet: made of die cast aluminium, in Pewter colour (a shade created by Minotti Studio) they have sinuous lines and classic structure, in both proportions and materials. 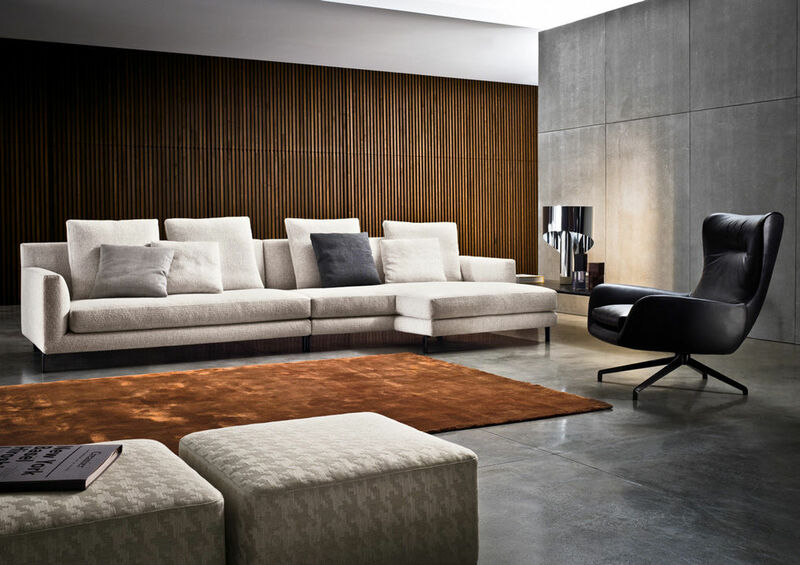 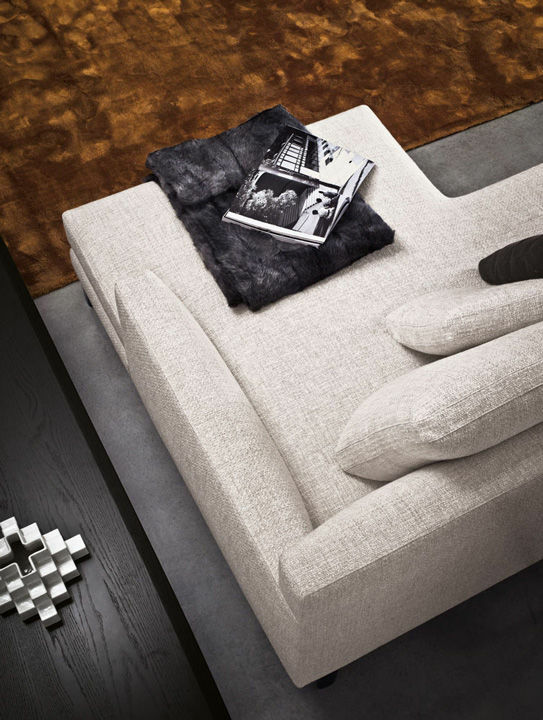 Molded, they are the result of technological research and reinforce the association between Minotti and uniqueness. 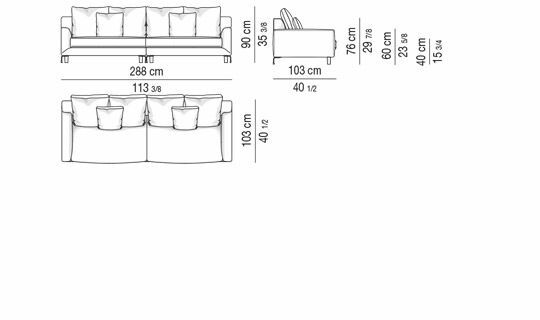 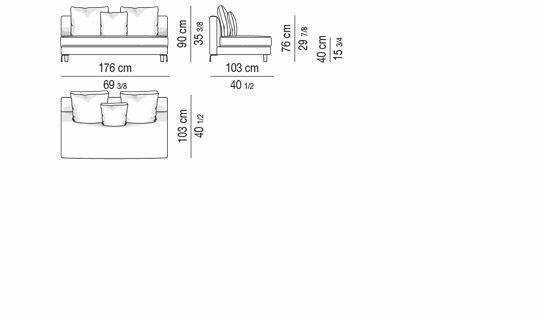 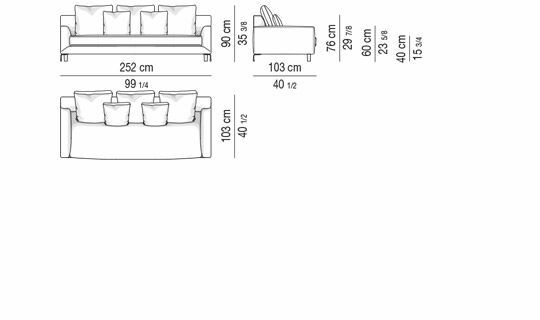 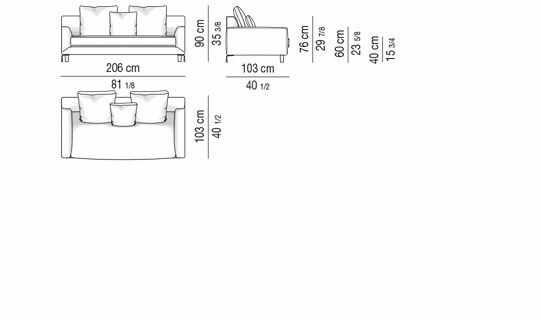 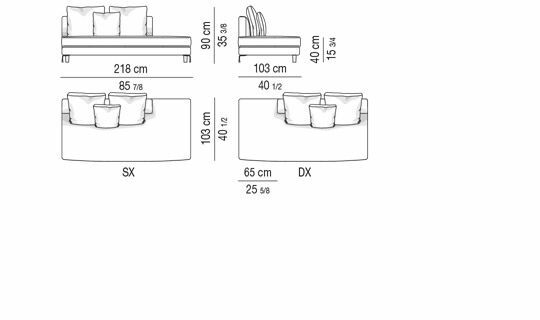 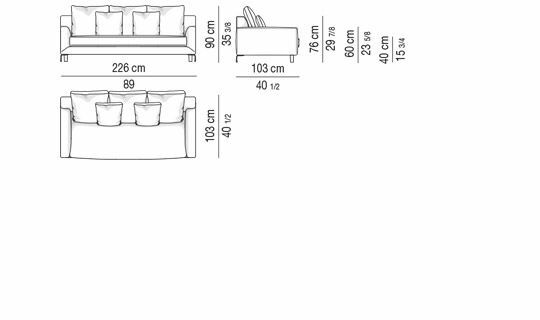 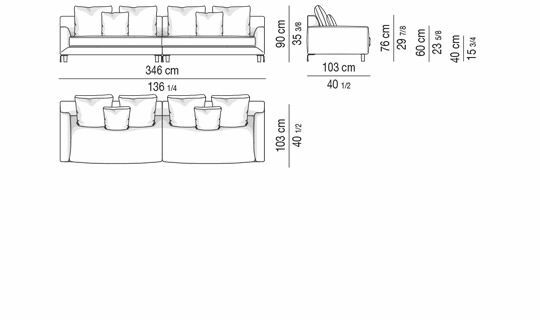 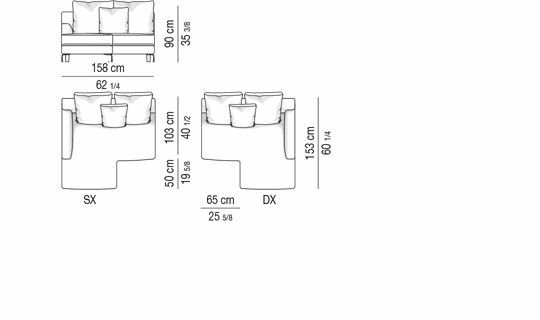 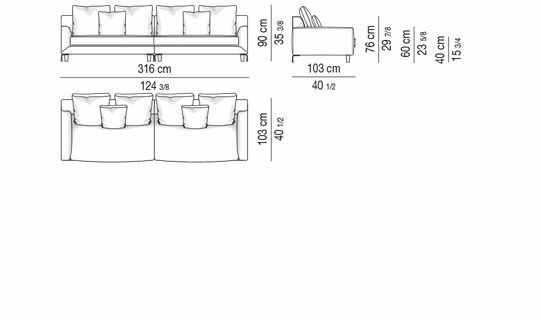 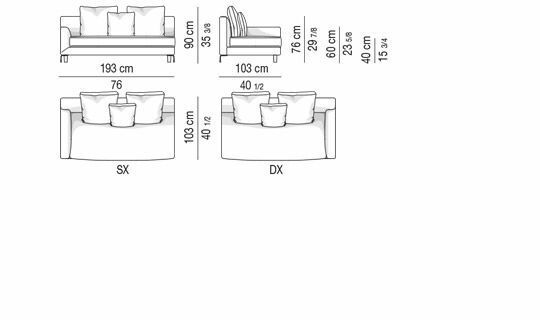 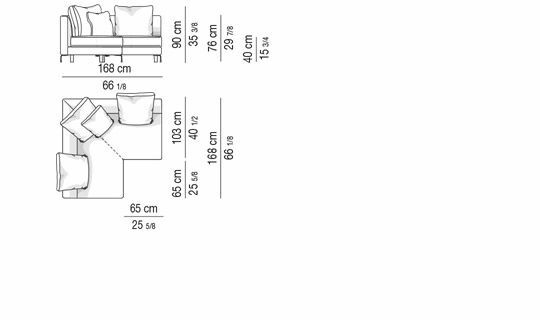 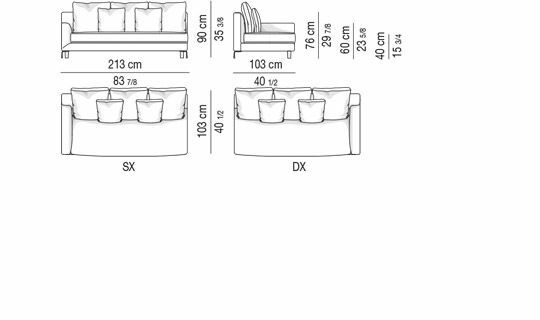 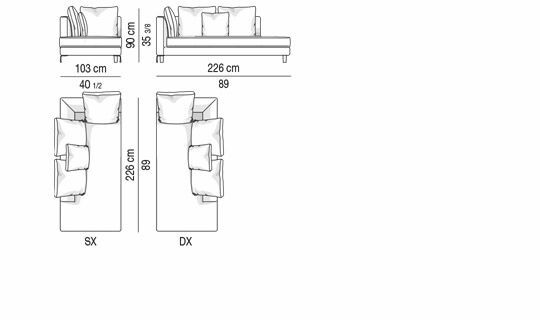 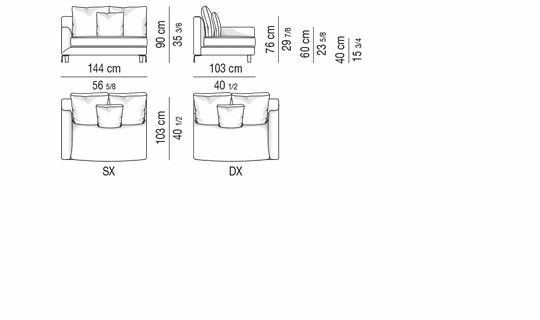 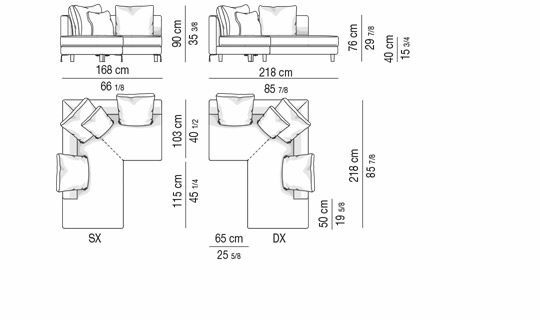 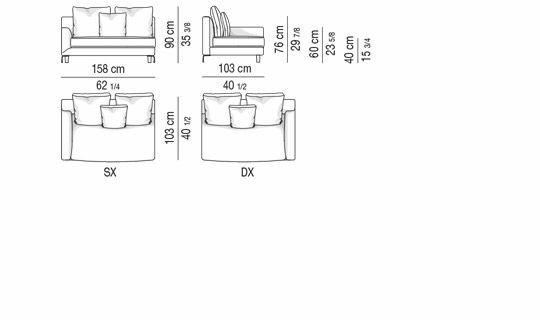 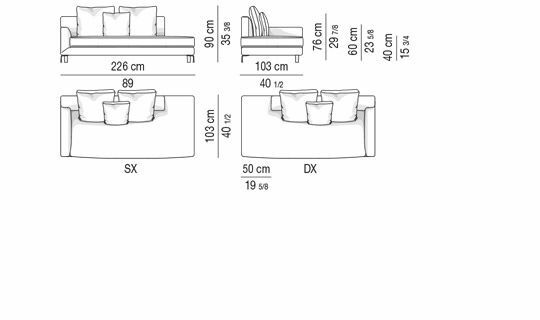 In terms of foot placement, they’re seen in profile when the sofa is viewed from the front, while the flat surface is visible when the sofa is viewed from the back or side. 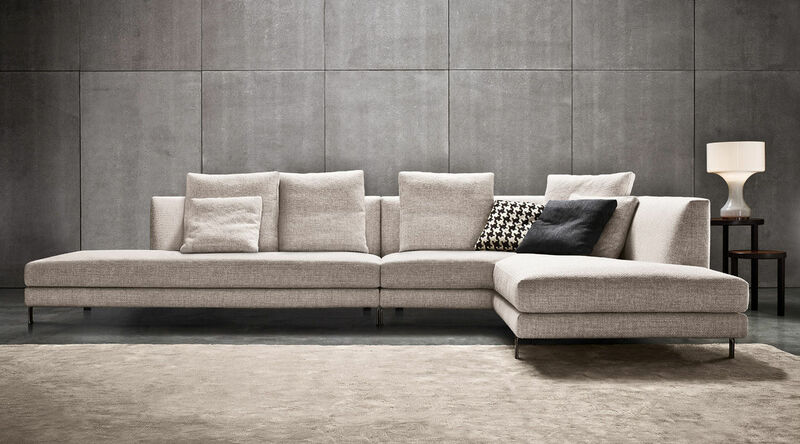 A totally new design concept: unlike traditional chaise longues that form the end unit of a seating composition, this element already possesses a “hint” of the sofa in its shape. 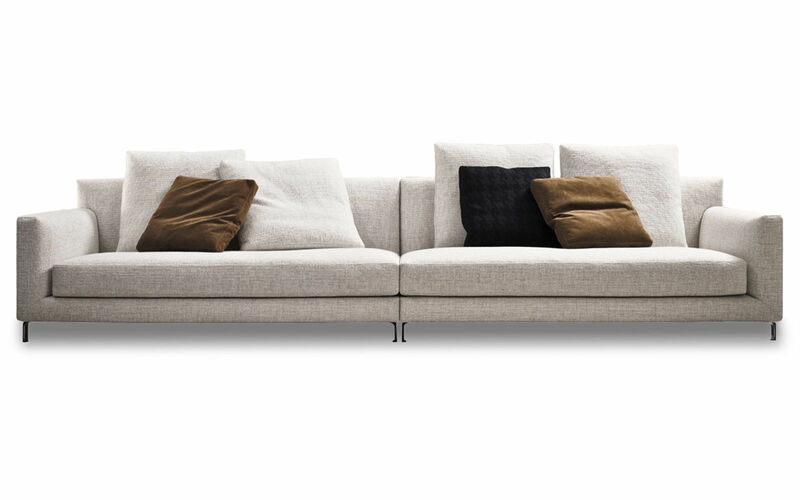 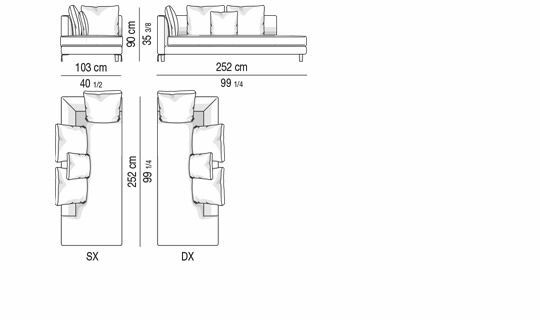 Thanks to its “L-shaped” design, it foreshadows the sofa and carries it forward. 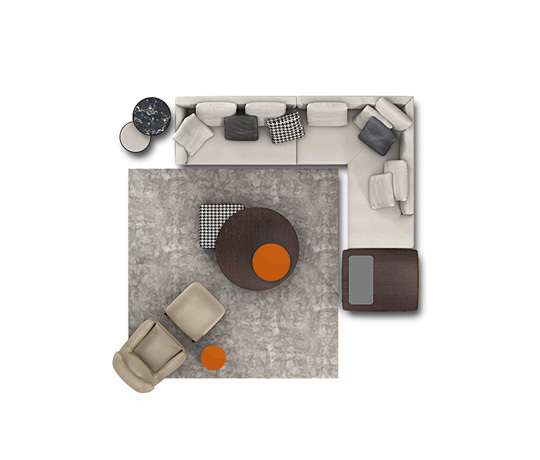 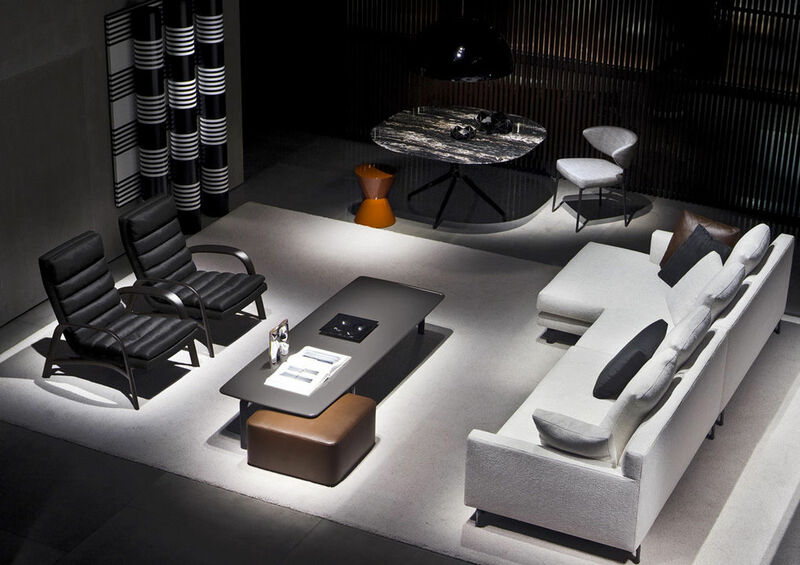 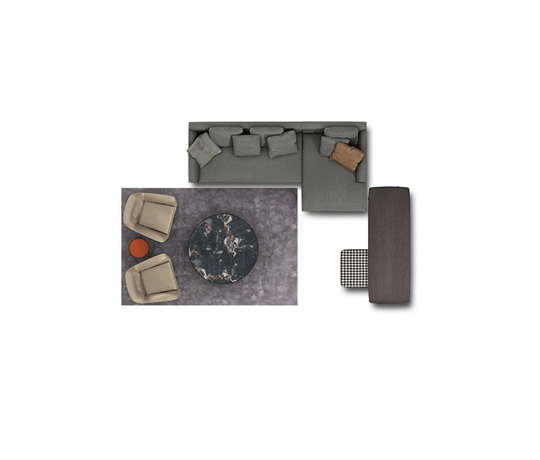 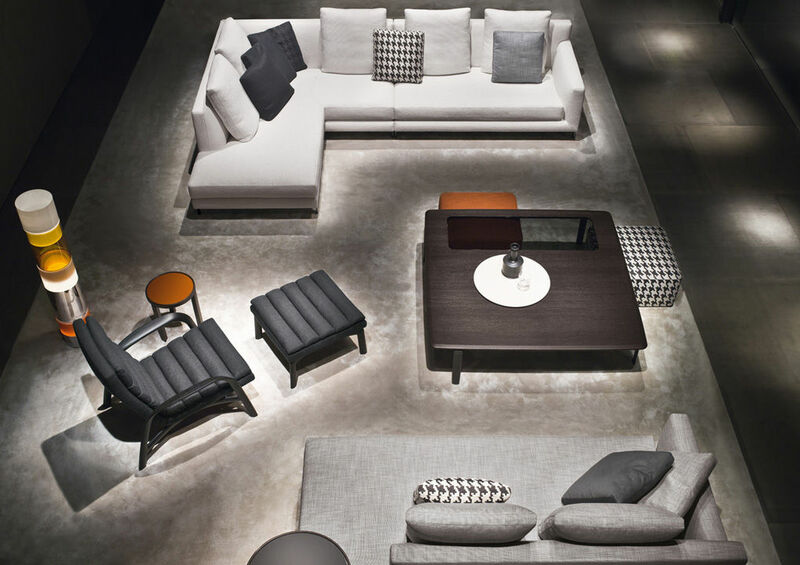 Minotti also solves the problem of overlapping feet in the corner, and preserves the purity of design. 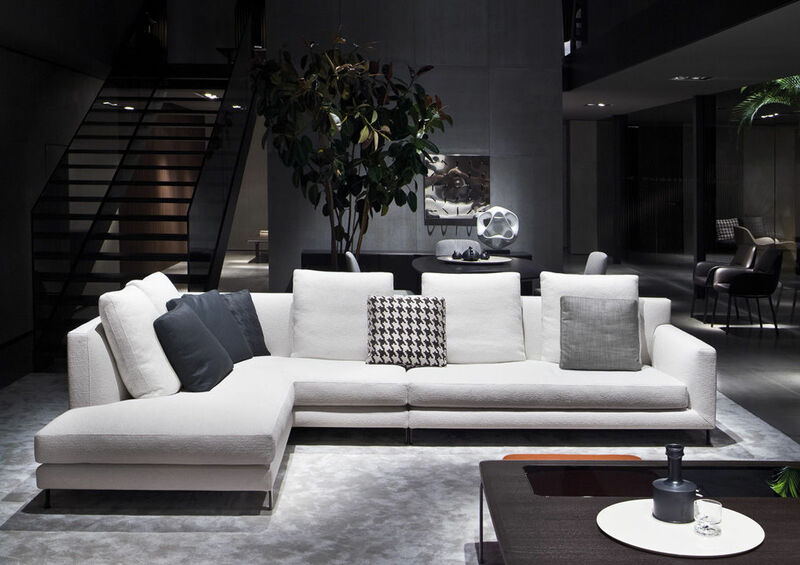 A sense of clarity enhances the value of this piece in a key area of home living – the place for socializing with friends and enjoying family companionship. 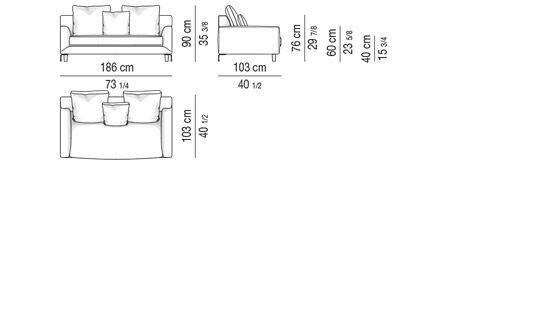 Multi-ply wood frame with seating suspension guaranteed by elastic straps with a high rubber content. 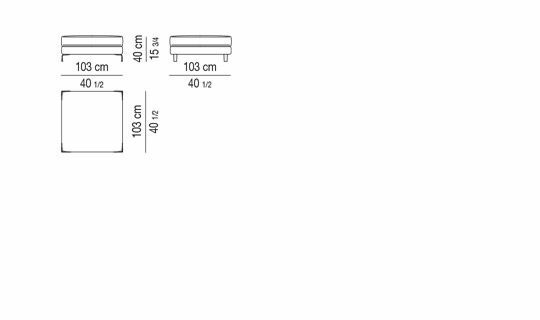 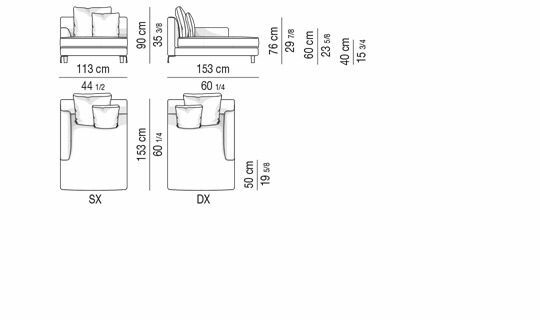 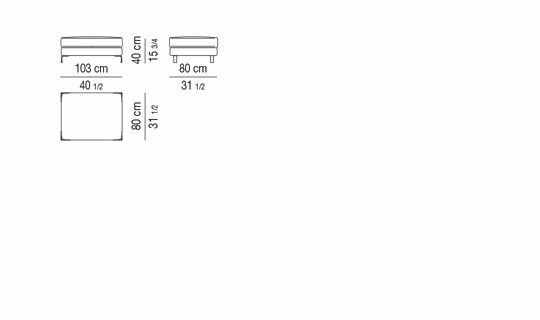 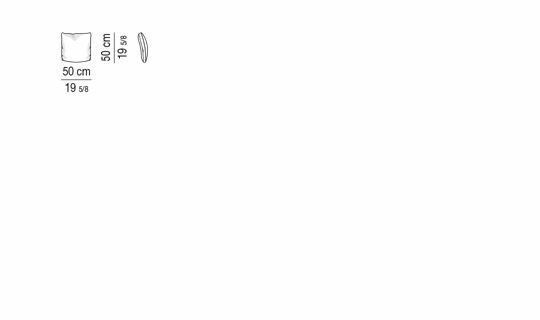 Metal reinforcements set crosswise. 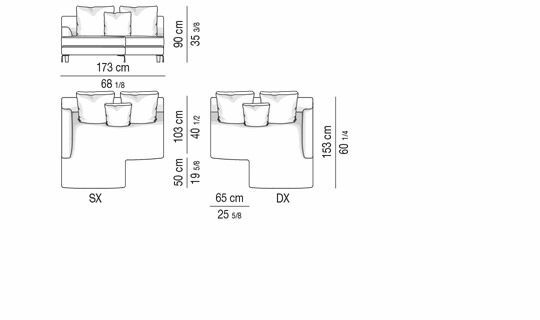 Let into highdensity polyurethane foam in different densities. 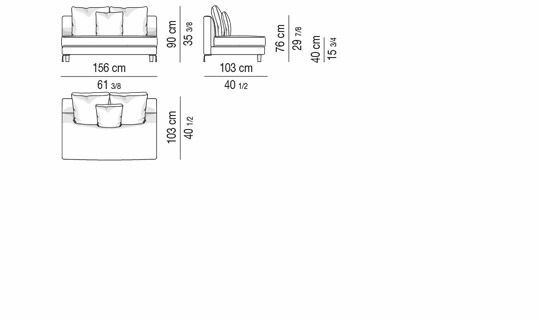 Arm and backrest padding with soft fireproof foam insert for enhanced softness and comfort. 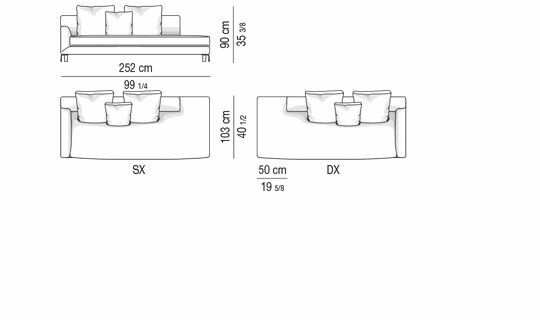 Additional thick fiber lining thermally bound to a white canvas. 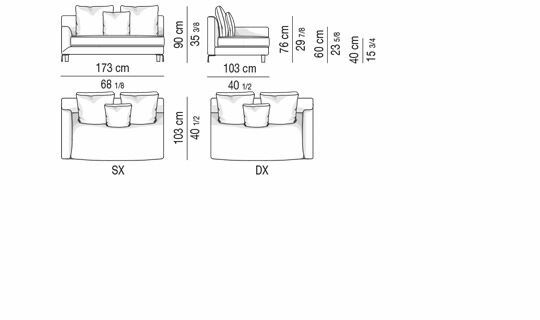 Channeled goose down filling for the seat cushions with very resilient polyurethane foam central insert. 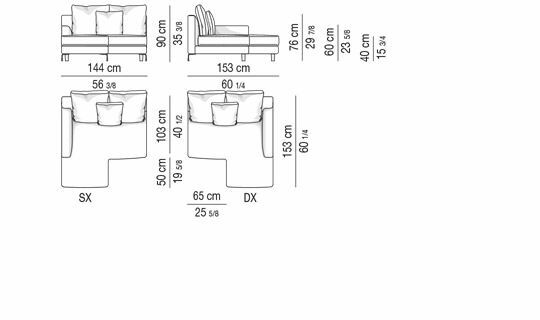 Channeled goose down for the backrest cushions. 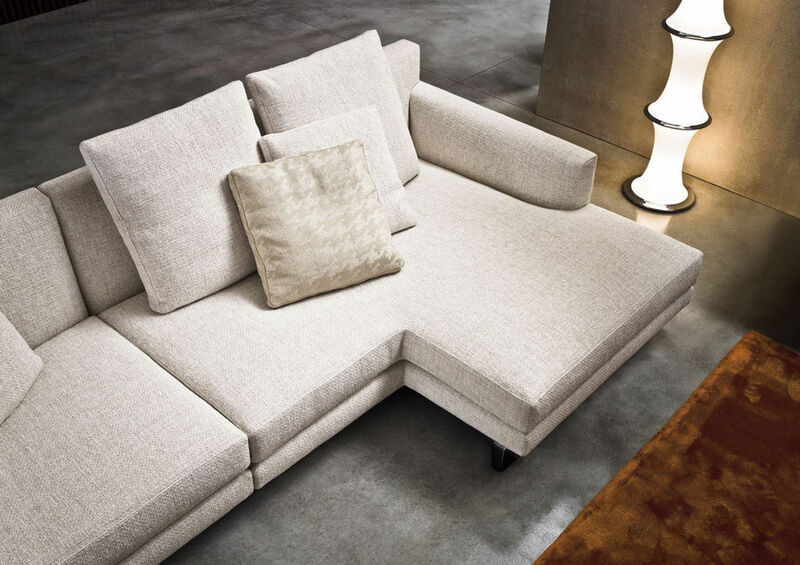 Fully removable fabric covers. 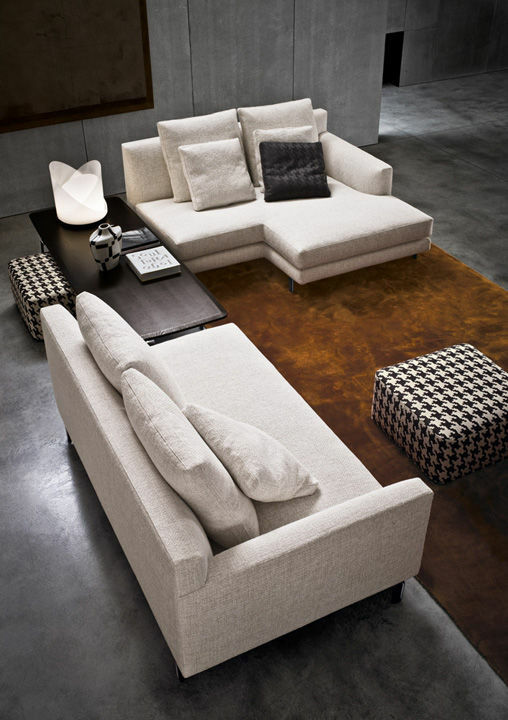 Non-removable leather for the structure, removable leather backrest and seat cushion covers. 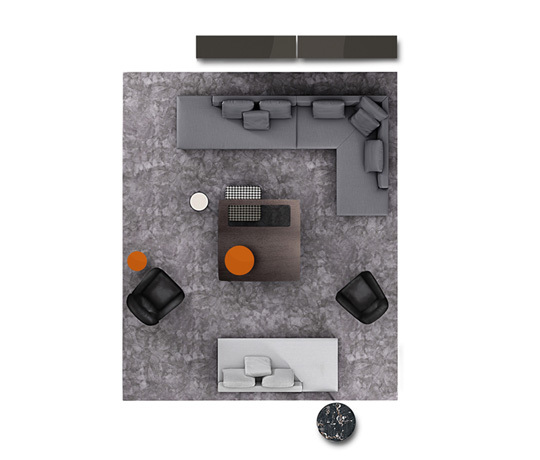 Molded aluminum die-cast feet (exclusive design by Minotti Studio), Pewter colored paint with extra-glossy anti-touch finish. 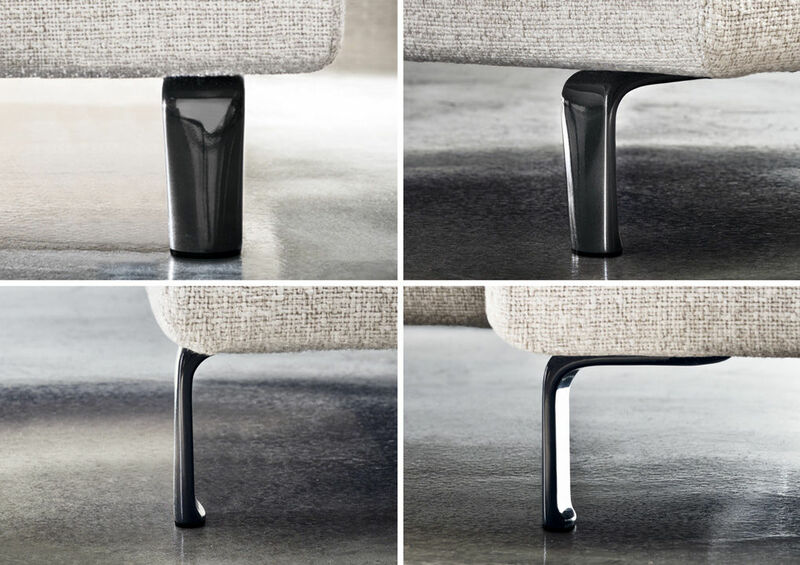 Protective Hytrel® (soft, scratch-proof rubber) glides.